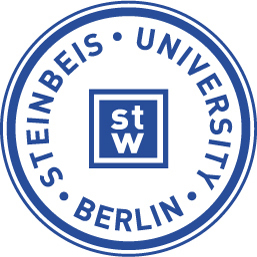 The Steinbeis University Berlin (SHB) is the largest state-approved private university in Germany. Built on the ground-breaking intuition of Ferdinand von Steinbeis who invented in the 19th century a dual education combining academic study and practical work, the SHB has implemented its business-oriented technology transfer through the “Project Competence Concept”. From the Bachelor up to doctoral degrees, more than 7,000 people study at the Steinbeis University Berlin in parallel of their work and over 11,500 graduates have benefied from its practice oriented and extra occupational higher education. The Steinbeis Network is made up of about 1,000 enterprises & 6,000 experts committed to practical transfer between academia and industry.